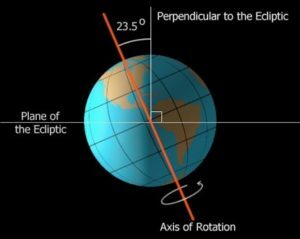 Earth's Changing Axis and My Prophecy * Martha Anne St. Claire, M.A. I believe that the ever increasing harsh weather, erractic weather patterns, and increasing earthquakes, etc., are a sign of things to come as we approach 2012 and beyond. The earth is in a stage of deep cleansing on many levels. Many have addressed this issue with far more detail and depth than I will do here, but business is definitely not “business as usual” in any way, shape, or form- not for our mother earth, not for anyone or anything, contrary to certain appearances that seem usual. We are being shaken to the cores of our souls to transform into the full essence of who we really are, like never ever before. “NEW YORK — Earth’s days may have gotten a little bit shorter since the massive earthquake in Chile, but don’t feel bad if you haven’t noticed. The difference would be only about one-millionth of a second. Richard Gross, a scientist at NASA’s Jet Propulsion Laboratory in Pasadena, Calif., and colleagues calculated that Saturday’s quake shortened the day by 1.26 microseconds. A microsecond is one-millionth of a second. The length of a day is the time it takes for the planet to complete one rotation – 86,400 seconds or 24 hours.